If you have hunting rifles – or indeed any type of firearms – in the house, you will certainly keep them under lock and key as the law requires. It’s not only intruders who you need to protect against, but those within the home. Many stories of enquiring and interested children getting their hands on a family gun have been told, often with disastrous results. The world of gun safes has changed a lot in recent years, with new technology coming into play that allows for greater security and protection. The latest safes, those that offer the most, are biometric, so let’s have a look at what they are all about, and why you need one. What is a Biometric Safe? The latest safes are very strong in terms of the way they are made – look for 18-guage steel as the standard – but older safes are, too. That’s why the major improvements have come by way of biometric locking systems. How does a biometric safe work? A traditional safe will protect your guns by way of a very strong key-operated lock, or by a combination lock. Some may in fact combine both of these for added security. 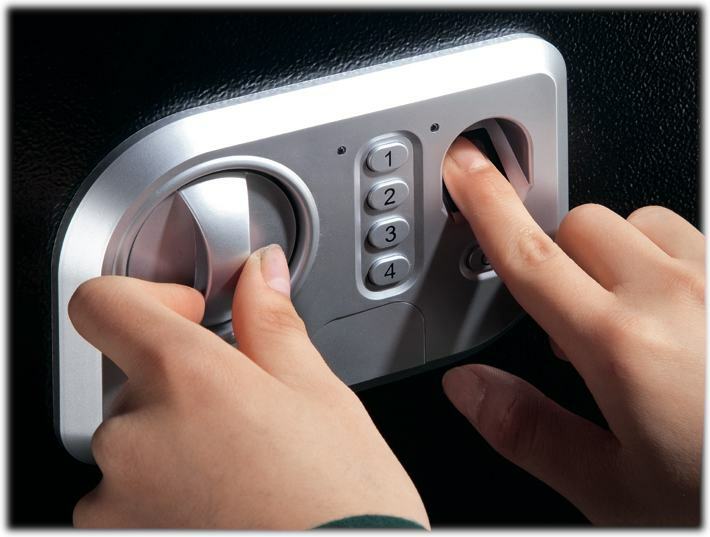 The biometric lock – which can also be used in combination with other types – uses, generally, your fingerprint. Let’s say you have a safe that is a biometric and combination one; you will need to enter the number, and then add a fingerprint to a screen. Only when these two are combined will the safe open. What is impressive is that with most safes, you can allow a few people to add their fingerprints to the memory. This means only select people can open the safe. The security implications are clear, then, so how do you go about choosing your safe for your hunting rifles? Size – for rifles, you need a safe that is going to take your guns, so you are looking at a tall upright safe. The usual height is around 52”, so you need to make sure you have this amount of clearance above the safe in the spot you intend to place it. Fire Rating – not only do you need to protect your guns against theft, but you also need to make sure they are protected in the case of a fire. Each safe will have a fire rating – this is the length of time they will keep the contents safe. No safe is 100% fireproof, and some perform better than others, so make sure you look for a safe with a UL 72 rating, as this is the standard for fireproofing safes. Steel Thickness – the lower the gauge, the thicker the steel used to construct the safe. 18 gauge, which is the very minimum you should consider, is 0.0041” thick; ) gauge is 0.375” thick, which is quite a considerable amount. This will affect not only the fireproofing but also the security it provides against breaking in. Locking Types – as also mentioned, there are different types of locks on a variety of safes. 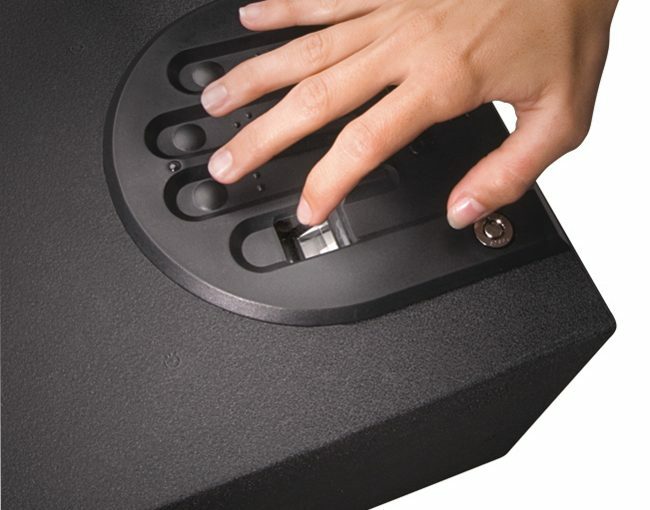 We recommend you buy a biometric safe as it is the most secure type, but if you combine it with a key-pad entry system that requires a unique number, it becomes even more secure. These are the four main factors to consider – you will also need to factor in budget – and there may be more. Let’s have a look at how to get the best out of your biometric rifle safe. Keep ammunition in a separate safe, away from where you store your guns. Limit the number of people who can access the safe biometrically to only those who need to. Try and hide the safe in an unusual location. Never put your guns away loaded. Of course, to the seasoned hunter, all of this will be common sense, but we hope it helps you find the right biometric gun safe for your requirements, and ensure that your prized hunting rifles are as safe as they can be when stored away, if you’d like to read up a bit more about biometric safes, we found www.gunsafeguru.com really useful.